There is no doubt that 2017 has seen some amazing trends that have strutted off the runway and into our wardrobes. However, there is one trend that has stood the test of time, covered shop front windows, led us to dig deep into our bank accounts, and touched our fashion hearts. Off-the-shoulder tops, dresses, basically anything. 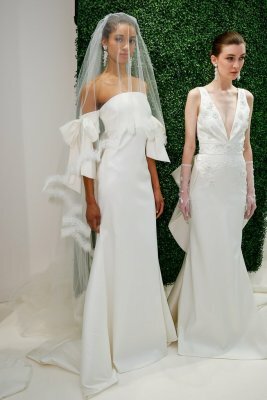 Now we see this fashion-forward trend gracefully glide down the aisle. This entry was posted in Kelly's Blog and tagged wedding.